On 15th August the “École d’Art”, a French language and art school in the Calais refugee camp, tragically burned down as a result of a fallen candle. We now need to raise €3000 to rebuild this vibrant community space. 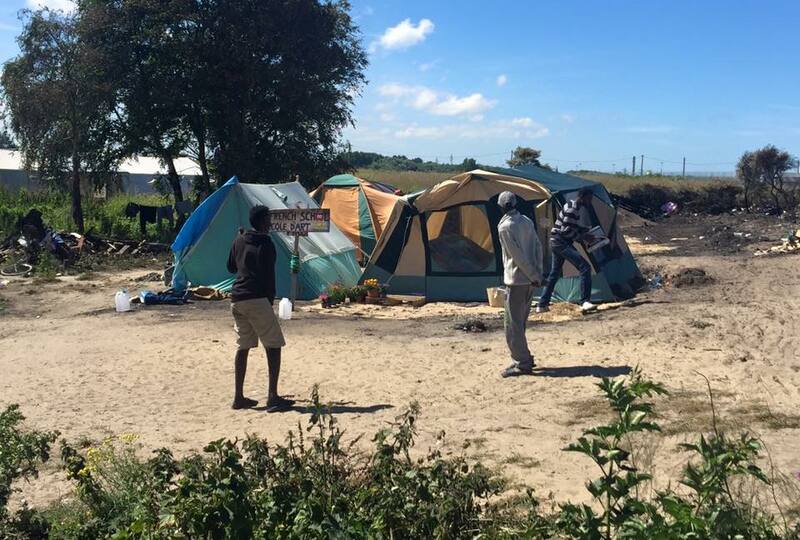 The Ecole D’Arts taught French lessons and ran art classes for the 7,000 plus refugees living in Calais. French lessons are especially vital for the refugees as many are seeking asylum in France and the art classes provide a therapeutic distraction to the often mind-numbing daily routines of those living in the refugee camp. The Ecole D’Artes was also home to 14 people who were it’s guardians protecting it from vandalism in the night. They lost everything, including their documents and few belongings. This building was a safe space, complete with a vegetable garden, piano and library. Now, all that remains are burnt palettes and charred school books. Please donate what you can so that we can rebuild this vital community building. Thank you so much.